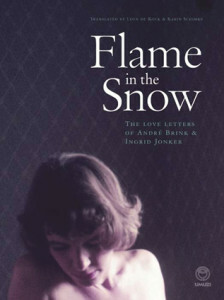 In a telegram dated 29 April 1963, thirty-year-old Afrikaans poet Ingrid Jonker thanks André Brink, a young novelist of twenty-eight, for flowers and a letter he sent her. In the more than two hundred letters that followed this telegram, one of South African literature’s most famous love affairs unfolds. Jonker’s final letter to Brink is dated 18 April 1965. She drowned herself in the ocean at Three Anchor Bay three months later. In December 2014, three months before his death on 6 February 2015, André Brink offered these never-before-seen letters, as well as personal photo- graphs, for publication.